Hey all, I thought I would start a thread over here on for my CQ. I originally bought the car back in Feb 2010 from the Milwaukee area. Owned it for 4 years and did a decent amount of maintenance and rehab work to it. 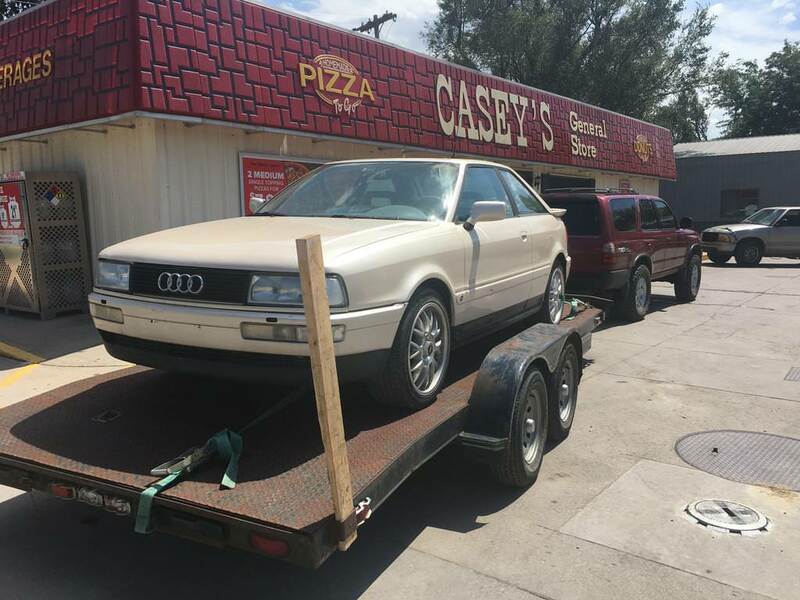 Not long after I had it repainted, I bought an A6 and the coupe didn't get much road time. 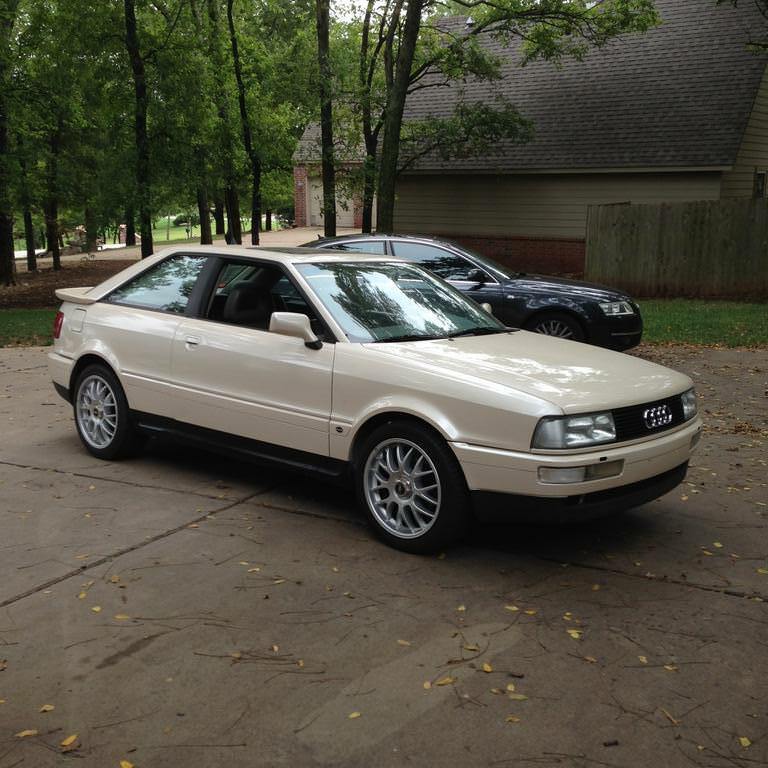 I didn't want to see it sit in the driveway getting unused, so I I sold it in Feb 2014 to guy from central Kansas. It was looking like this. 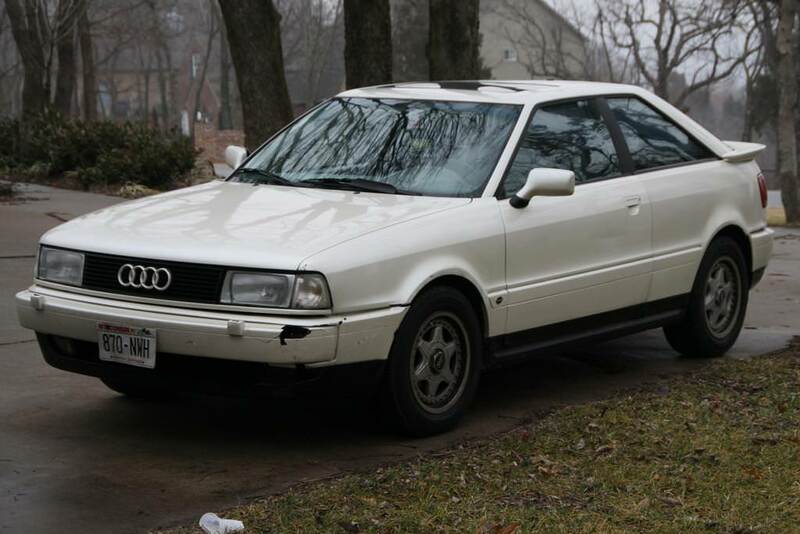 After selling it, I quickly started to regret that decision. Since then, my oldest is off to college and my youngest is driving and I am finding more free time to work on a project again. 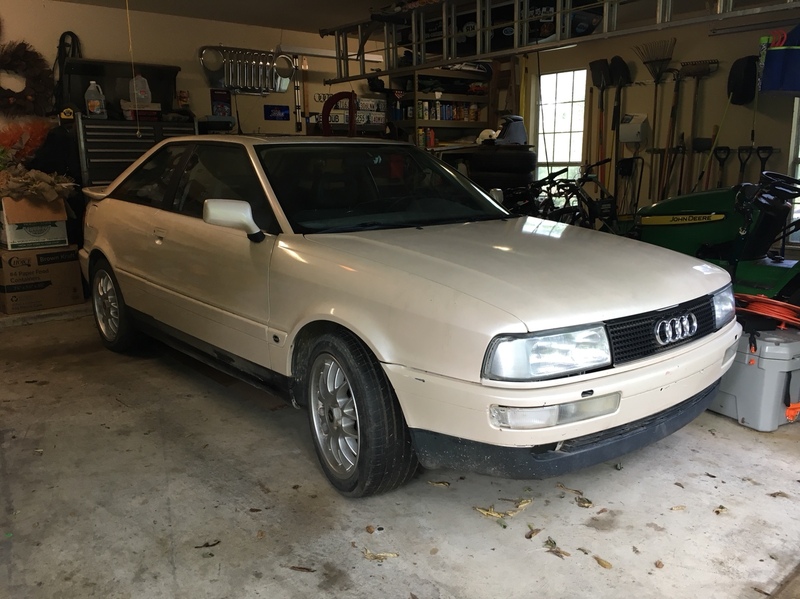 So, I recently contacted the guy I sold it to and found that it has been sitting in his garage for a couple of years. He was driving it for a while, but put it away when it developed a low end knock. He has a couple other projects going and was willing to let it go. So, I bought it back. 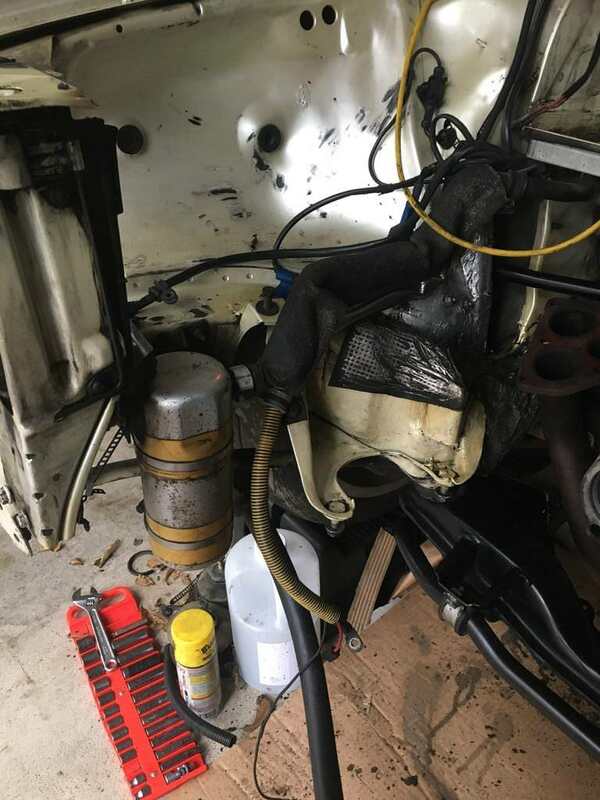 While he owned it, he did a few things like finishing the DIY coilovers that I had all of the parts for, getting the A/C system working again, and some odd and ends. It's probably a lost cause, but I am going to do a compression and leak down test on the 7A so I know what's going on with it for sure. 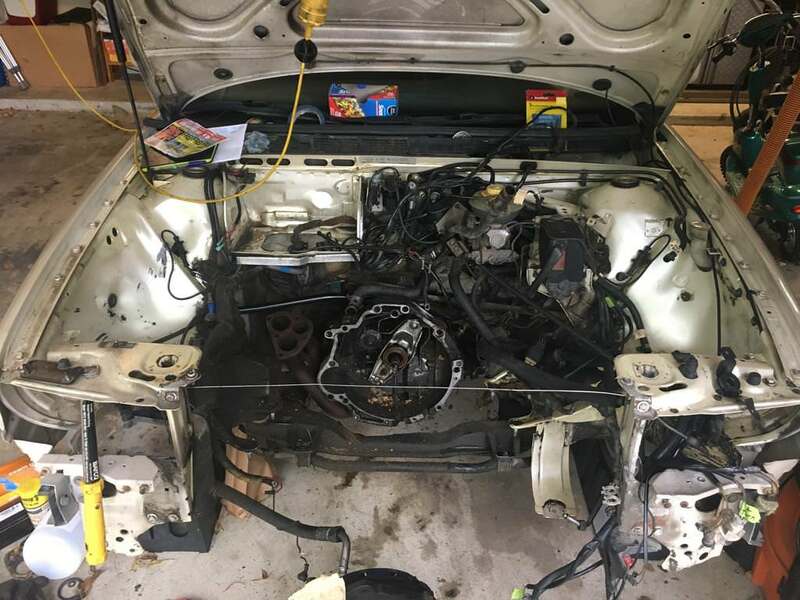 Buying it back feels like a bit of a risk based on the condition of the engine, but it should get me off center to do a swap that I hoped for originally. Last edited by jbrentd on Mon Feb 25, 2019 8:57 am, edited 2 times in total. Looks great. Glad you got back into it! Where are you located? 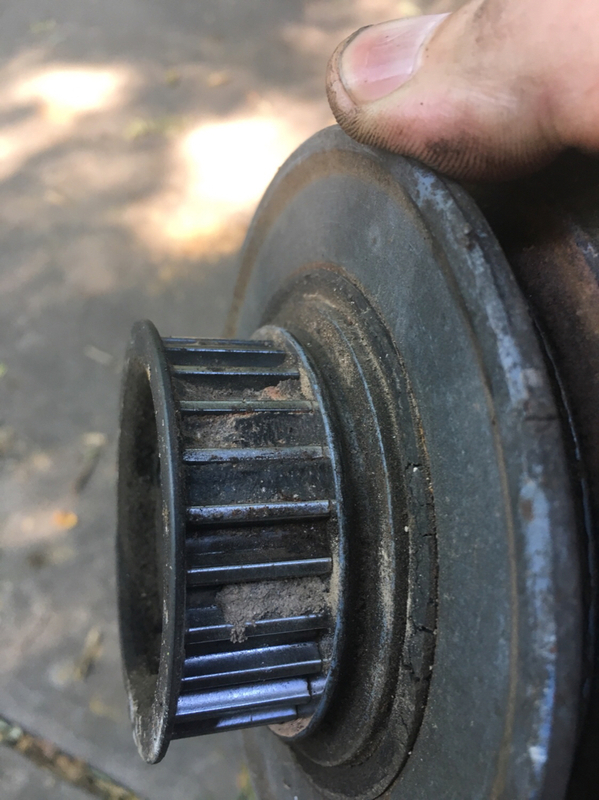 I have a 7a that came out of my coupe that ran/drove before I pulled it out. It needs some external parts (from yours) but the base engine is good. I chopped the harness and hoses to get it out. It's all yours if you want it, I havn't been able to even give it away. Haenszel wrote: Looks great. Glad you got back into it! Thanks. I'm in NE Oklahoma. How about you? Oooooof. Buffalo NY. Usually freight is about $250-300. Your call. Haenszel wrote: Oooooof. Buffalo NY. Usually freight is about $250-300. Your call. It's worth checking in to. My company has large accts with shippers and can get decent pricing. I'll send you a PM. 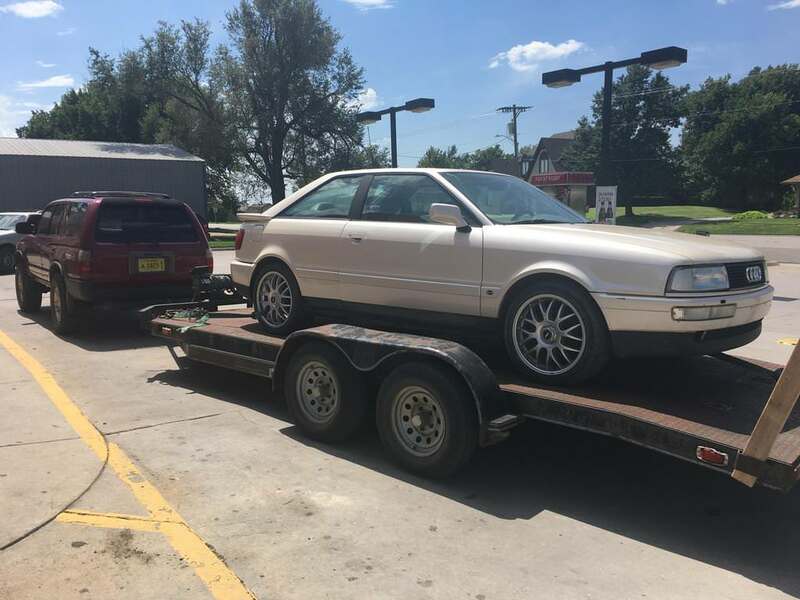 Yesterday, I was a couple hours late in contacting a guy selling a ‘91 200 for $400 on CL. He was about 2 hrs from my house! Those don't pop up very often in my neck of the woods. It sold in a matter of hours. Coupe is in the garage...let the disassembly begin. Compression test showed no pressure in cyl #3 and we saw a couple bent valves with the borescope. 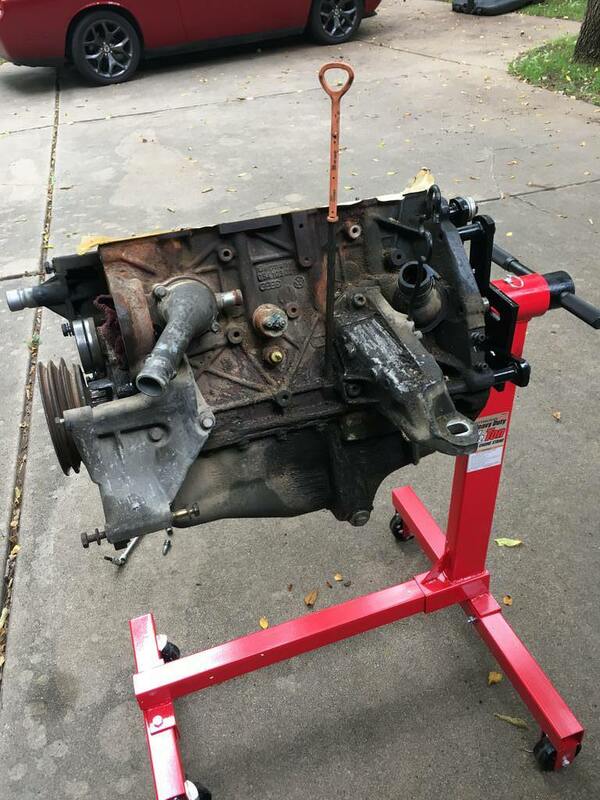 Tearing apart an engine is new territory for me, so I’ll be learning a lot as I go. I've been working on it a little at a time and have drained the coolant and oil, removed all of the intake, valve cover and head bolts. I started to remove the exhaust manifold, but could not get to the 2 rear nuts on the bottom. So, I moved to the EM/downpipe flange. Next is to separate the head. 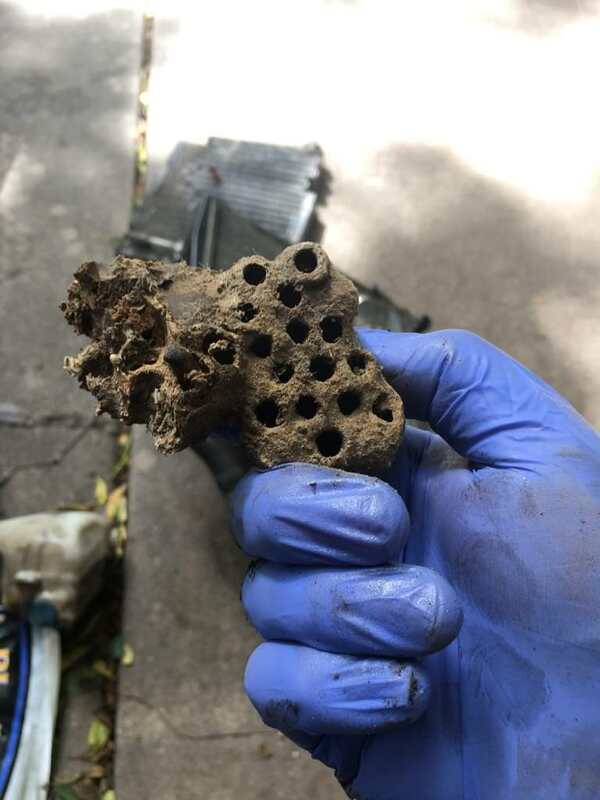 There are wasp and muddobber nests EVERYWHERE on this thing. I wish I would have taken pictures of them...it would make quite a collage. I probably shouldn't care about breaking/shearing bolts and that's part of the reason I am so slow. I only got a very small of amount of coolant out when I drained it. 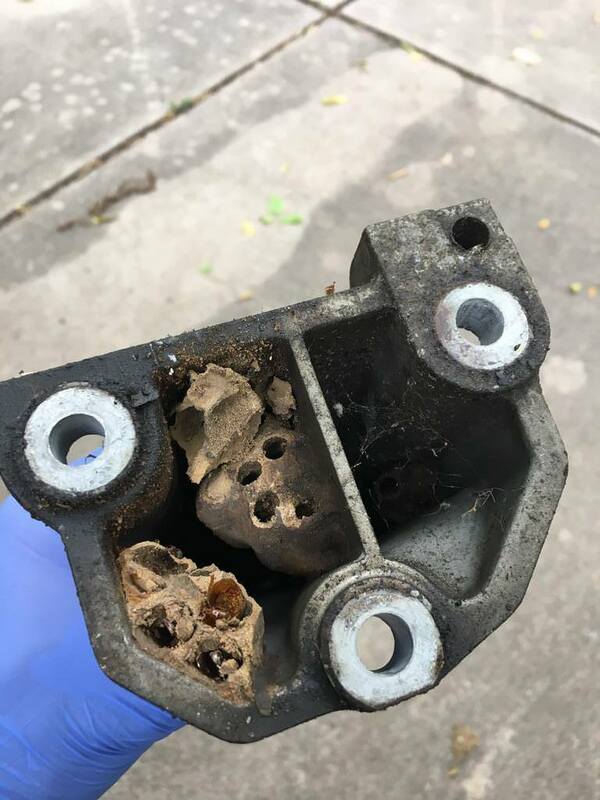 But I didn't see any in the oil. 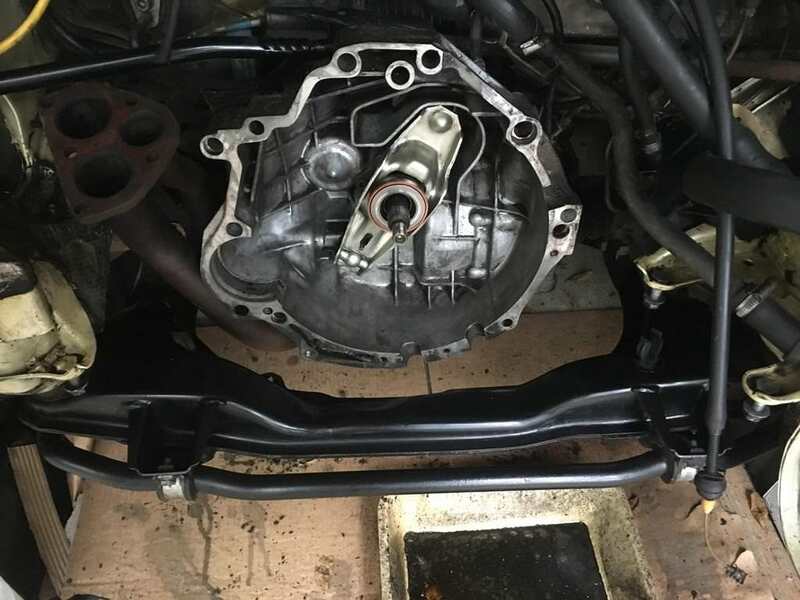 I went to put #1 at TDC and align all of the timing marks before removing the timing belt. And I think this thing is out on its timing. 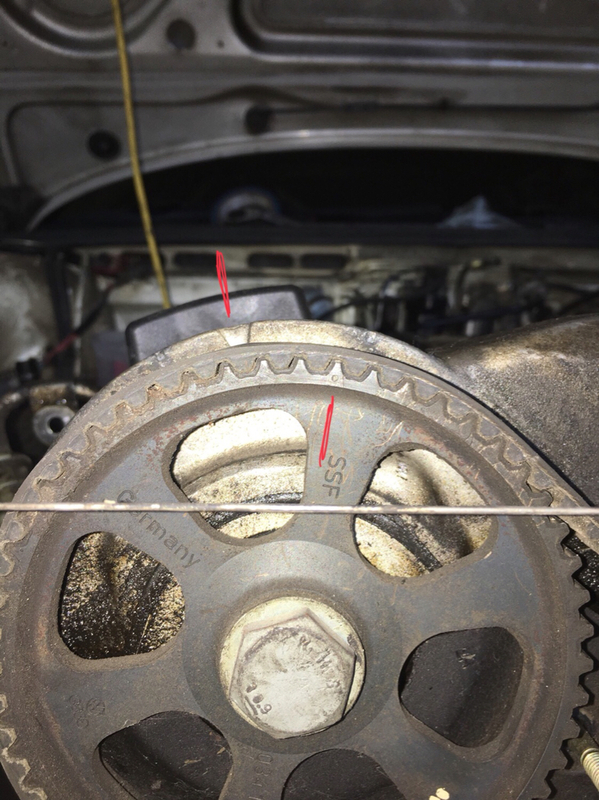 In the pics below, #1 is at TDC(verified with a long 1/4” extension) and the crank pulley marks are lined up. 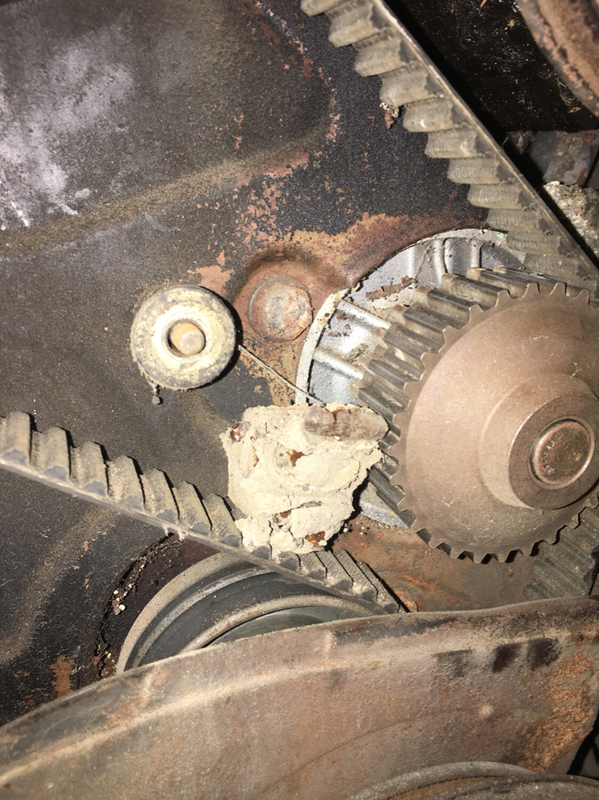 But it looks like the cam pulley is off by a couple of teeth and the camshaft marks aren’t lining up. Am I seeing that correctly? Doesn’t matter much anyways. But it might help explain what happened to it. Maybe it skipped a tooth? Or the PO did it intentionally hoping for performance gains? 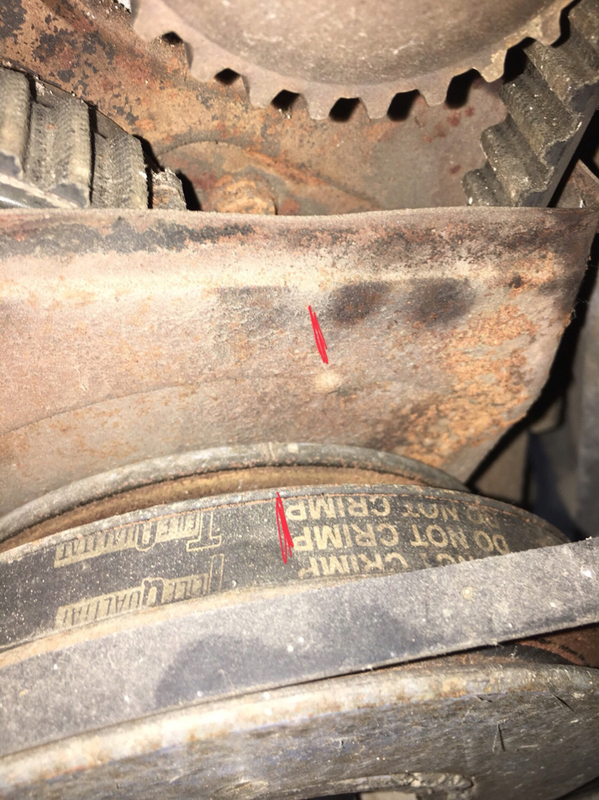 Could dirt and debris cause the timing belt to jump? 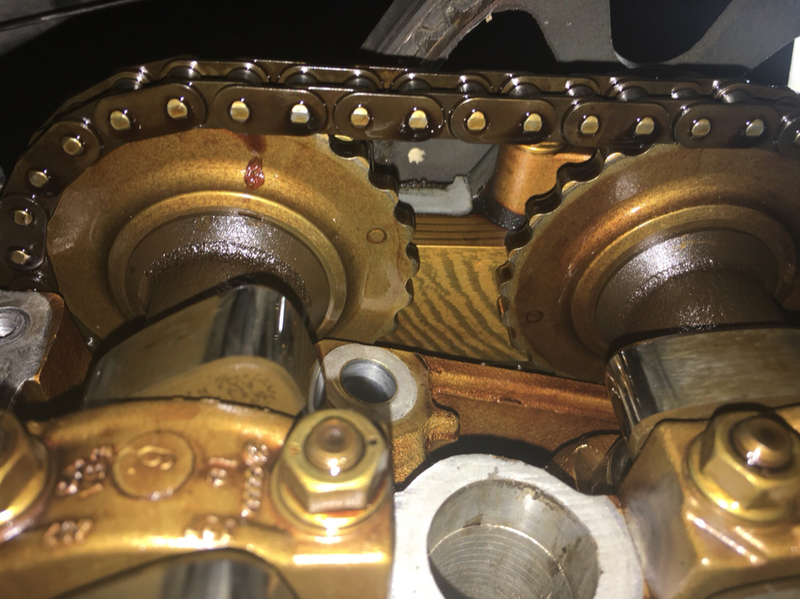 The crank, cam and water pump sprockets all had junk in the cogs. More mud dobber nests...getting chewed up by the water pump, I guess. Gross! Looks like you may be on to something... were all the guards in securely in place? I would say yes. 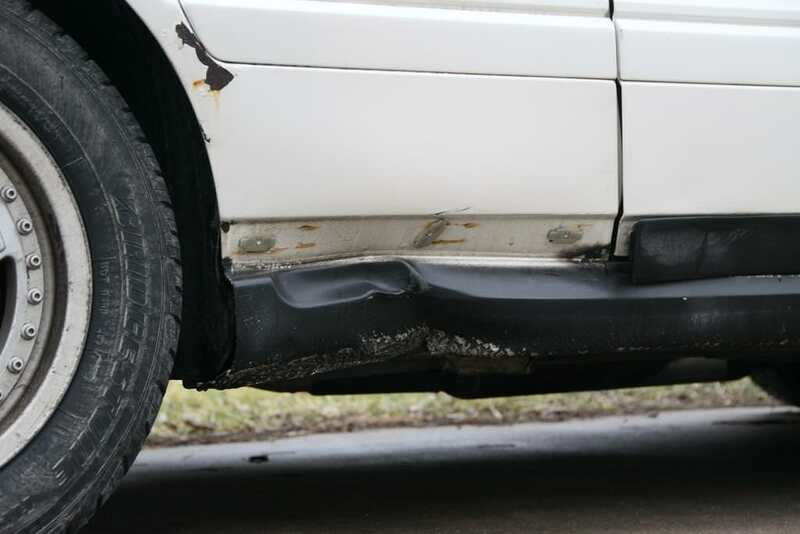 That much crud under the belt could cause the belt to skip. It kind of looks like old bits of belt, I wonder if it sat for a long time, then someone tried to just crank it up and run it. PRY4SNO wrote: Gross! Looks like you may be on to something... were all the guards in securely in place? Yes, but there were nests in there between the TB covers. 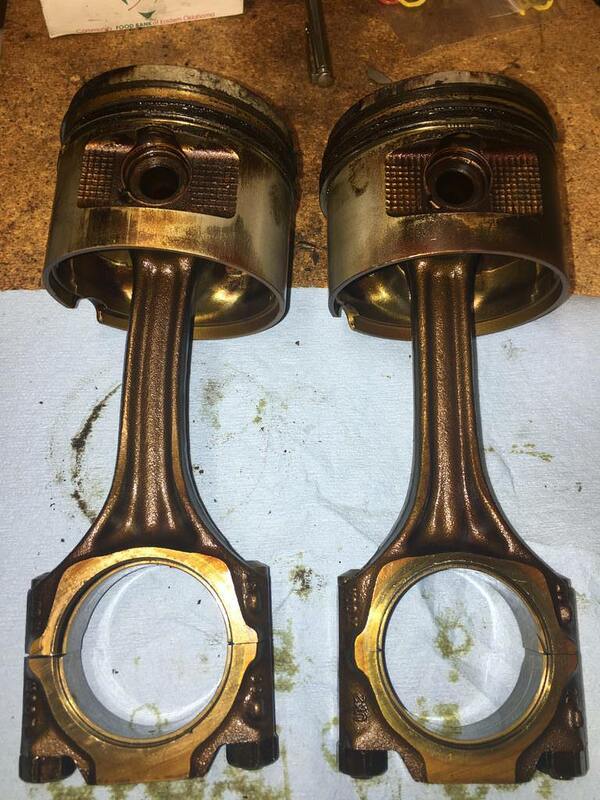 Going to inspect the cylinder walls for signs of damage and then check the piston deck height across all cylinders. If everything looks okay there, the plan is to take the head to a local machine shop to have it checked out. Does anyone know the piston/deck clearance specs for a stock 7A? I ask because cylinders 1-4 are all about +0.5mm (above) and #5 is about -0.5mm (below). The deck clearance numbers showed cylinders 1-4 were about +0.5mm (above) and #5 was about -0.5mm (below). I decided to not spend any more time/money on the original 7a engine. So, it is out and on the stand. With it stripped down to just the short block, it was pretty easy to remove by myself with just a jack. So, it looks like I'll have a replacement 7a on the way soon, thanks to Mr. Haenszel. Appreciate the help, sir! 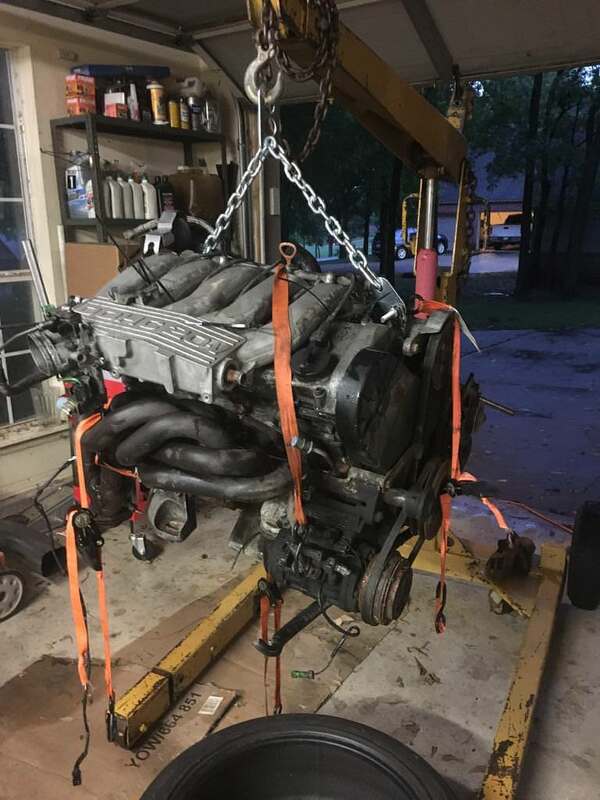 Hopefully, this will get her back on the road until I can source a proper swap. 1. Are there other differences I should be aware of? 2. 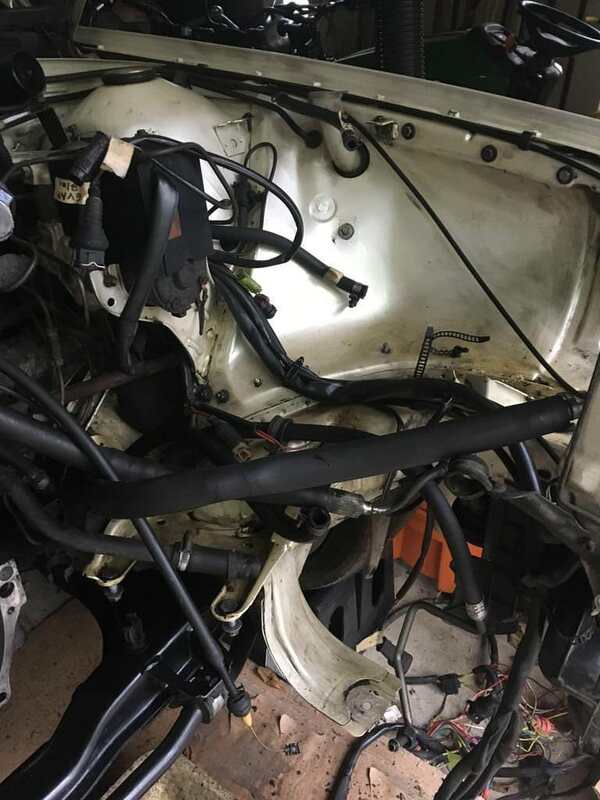 Can I simply use my original intake manifold, TPS, and ISV for the swap? 3. What about running the bag o snakes without a heat shield? Seems like there are too many electronics, rubber bits and intake parts that are too close. If you have the heat shield I would put it back on. But if you don’t I know those are hard to find. I do think that simple piece of metal can make a big difference and as you mentioned the old electronics get brittle and hard to find/ troubleshoot/ replace . Afterthought wrote: If you have the heat shield I would put it back on. But if you don’t I know those are hard to find. I do think that simple piece of metal can make a big difference and as you mentioned the old electronics get brittle and hard to find/ troubleshoot/ replace . It doesn't feel like much progress, since it's mostly just cleaning and inspecting components. Oh how I wish I had the space for a parts washer and sand blast cabinet. I should have the replacement 7a tonight and will start cleaning it and swapping parts over. 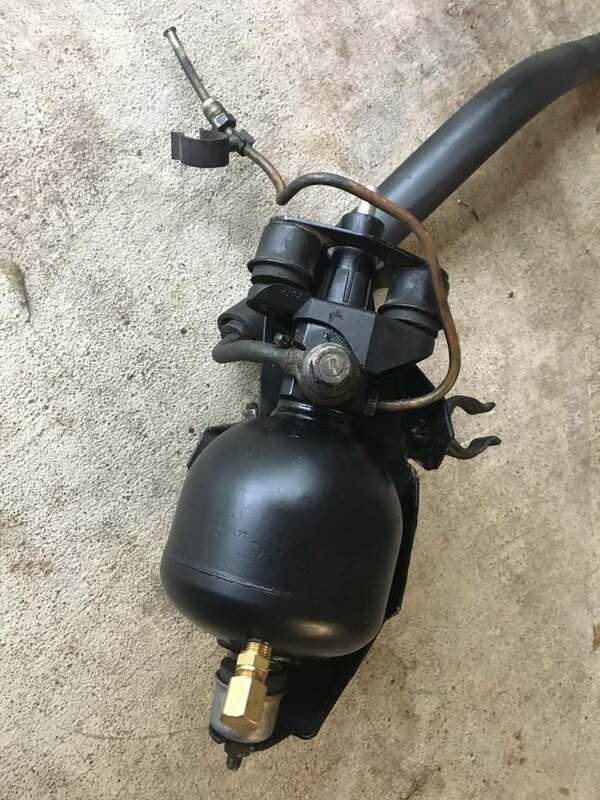 I also have a hydraulic accumulator (bomb) on the way from Dave Kase. Just thought it would be good to put in a freshly recharged unit "while I'm in there". The replacement 7a showed up last week. I had hoped to start working on it this weekend, but my son was in town from college and I didn't get much done. It'll need a new timing belt, but I'll probably wait until it's in the car so I can break the crank bolt free. I did manage to swap a Dave Kase recharged bomb into the coupe this weekend. I'm also going to attempt to clean up the slop in the shifter bushing by following this tech article from AW. Hope I can find the bushing and grommets I need for that. This explains the variance in the deck clearance measurements on my old 7a. #5 on the left. What a neat story for a neat car. Can't wait to see the full build! While everything is apart, I'm working on a list of things to replace. I plan to use the Spec clutch and PP and have the flywheel resurfaced. 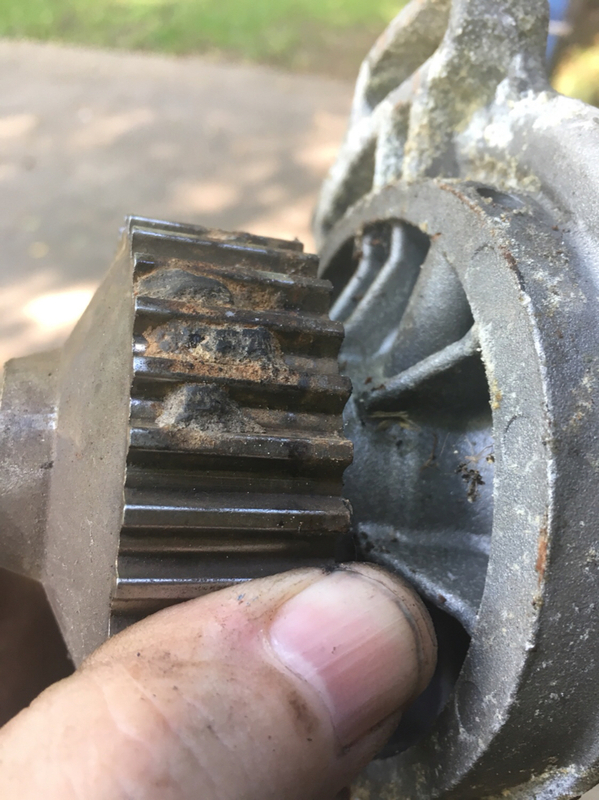 Even though they have less than 40k miles on them, I'm thinking new TO and pilot bearings would be a good idea though. 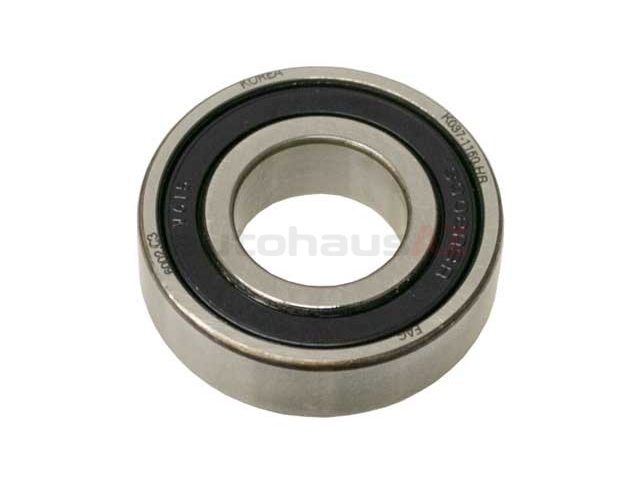 Can anyone confirm this part number for a 7A pilot bearing? (034 105 276B) I found it in a search on MG and plugged it in on AutohausAZ, but their site says it won't fit. And that number is shown in the cross reference.